Watching birds is something we really enjoy and do most everyday since we live out in the country. This Birdfeeder is really great because you can watch birds eating right at your window. If you homeschool this is a great way to learn about different kinds of birds. Even if you don't homeschool this is a great way for children to learn about birds, even as adults you can learn about birds. What I found amazing was that this bird feeder has a money back guarantee, a warranty and is easy to put together and take care of. You can purchase this Sherwood Base Window Bird Feeder on Amazon. What Sherwood Base has to say about their product. 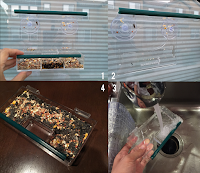 SQUIRREL PROOF and INDOOR-PERSON FRIENDLY: Enjoy watching birds play with the seeds without shooing away the squirrels, unless they can climb glass like Spiderman! OPEN BIRD NEST COMPLETELY SEE-THROUGH DESIGN: Birds love to stay in this see-through window bird feeder just like their nest! Seeds can also be placed on the top cover. Inside the feeder, there are two compartments that can hold water, different kinds of seeds, or anything else you can think of! In addition, there are bird perches installed on both layers! STURDY and ROOF PROTECTION: Made from durable high transparency acrylic that can hold up to all types of weather conditions. SCRATCH-RESISTANT, EASY to REFILL and RELOCATE: It is like a mobile home for the birds. The seed-tray is revised to be detachable. Check out our product photos to see how easy it is to use! 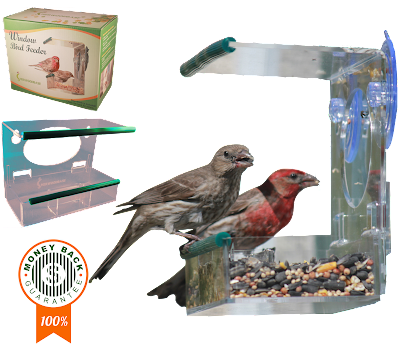 THE ONLY BIRD FEEDER WITH 100% LIFETIME WARRANTY ON AMAZON: We offer a 100% no questions asked money-back guarantee! We also promise to replace a new one for you in case of first-time installation accident, Life-time Guarantee! 1 X Well-designed attractive package box, made it into a perfect gift for your friends, and family! We understand that you want to watch the wild birds WITHOUT PUTTING THEM IN A CAGE! Our feeder is custom-made to be installed easily on any screen-free windows with the provided suctions. 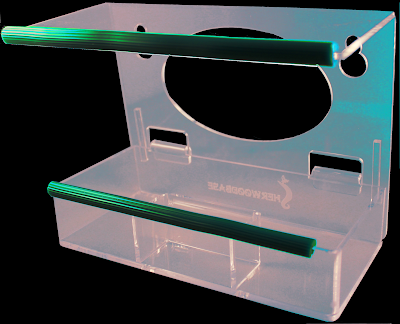 The detachable tray allows cleaning and refilling effortlessly. Feeder's top layer is flat so you can use it as a 'test drive' area or just put some seeds on it to let the birds have the 2nd floor compartment!Our bird feeder brings great entertainment for all family members and indoor pets! You can enjoy watching the birds flying around your window anytime! 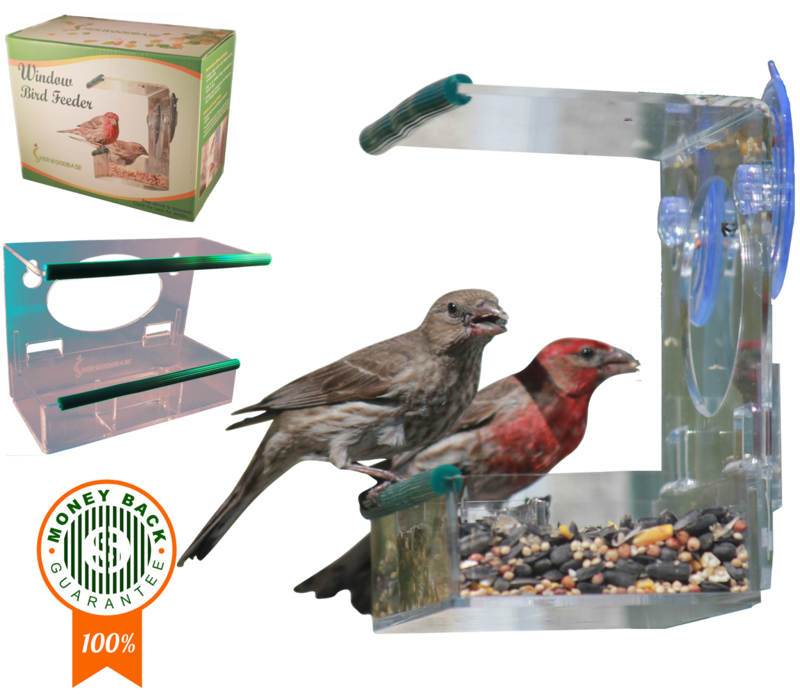 THE ONLY BIRD FEEDER with Life-time Limited Warranty!! Disclosure: MarksvilleandMe received one or more of the products mentioned above as part of a promotion with Tomoson and Sherwood Base. Regardless, MarksvilleandMe only recommends products or services we use personally and believe will be good for our readers. Some of the links in the article may be “affiliate links.” This means if you click on the link and purchase the item, I will receive compensation. If you would like MarksvilleandMe to review a product or service please contact us at marksvilleandme@gmail.com.